Shooting Stars Sports Club coach, Fatai Amoo, has assured the club’s fans that their darling team will survive the drop from the Nigeria Professional Football League at the end of the season. 3SC lost 2-0 to league leaders Plateau United on Sunday, a result which has further put their chances of avoiding the drop in jeopardy. The defeat was their 13th of the campaign. 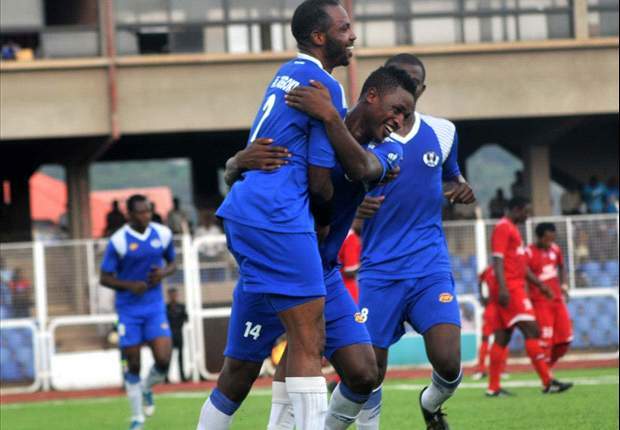 The result saw 3SC drop to 17th with 40 points from 32 games in the Nigerian Professional Football League log. Four of the 20 clubs in the NPFL will be relegated to the Nigeria National League at the end of the season. “We’re in a critical position now and we have three games at home and three away which we cannot afford to lose,” Amoo said. “I’m confident we will not be relegated at the end of the season,” the former Nigeria U-23s coach added.